Holland America Line has now released a statement regarding the ms Nieuw Statendam cruise ship losing power which resulted in blackouts and a canceled port of call. While Nieuw Statendam was underway from St. Thomas to Half Moon Cay the ship experienced a technical issue with one of the diesel generators, causing a short black-out. During this time the ship, all guests & crew were completely safe & in calm water with good weather conditions. Due to the delay and in an abundance of caution while the cause of the blackout was being addressed, the scheduled port call at Half Moon Cay was cancelled. The repair is complete and Nieuw Statendam is proceeding as scheduled. The newest Holland America cruise ship named Nieuw Statendam is suffering from major power loss and was adrift. A port of call has been canceled and there have been blackouts onboard. 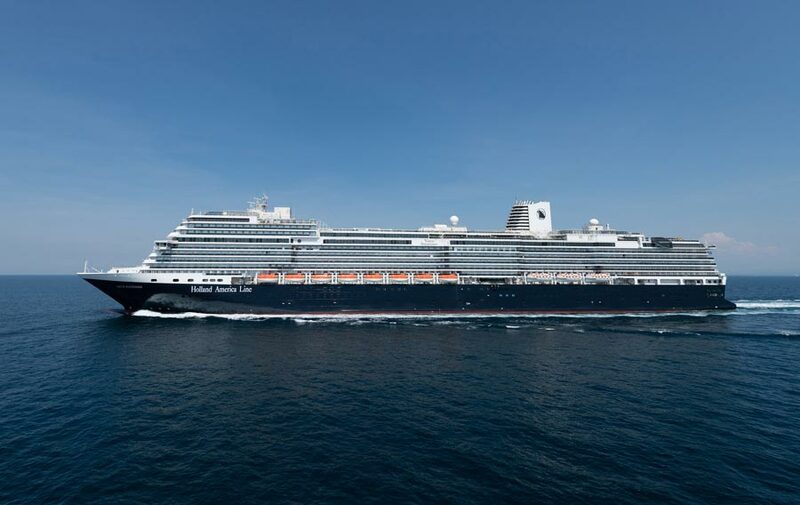 Guests who are currently on the March 17 sailing out of Fort Lauderdale, Florida are posting that the Nieuw Statendam is suffering engine problems. As a result, the ship had lost power and was adrift for some time early this morning. Thankfully the captain managed to safely keep the ship away from any land. Unfortunately, the scheduled call at the cruise line’s private island of Half Moon Cay in the Bahamas was canceled. The newest ship in the fleet was originally expected to drop anchor at the island around 8:00 AM this morning. The power failure started as the ship was approaching the island according to guests. Engineers onboard are actively working on fixing the engine issue and limited power has already been restored for food and drinks. It’s not clear what services were impacted and if the blackouts were shipwide. Nieuw Statendam is very slowly heading back to its homeport of Port Everglades, Florida and is scheduled to arrive on Sunday morning. With limited power and propulsion, it is not known if the arrival back will be delayed. Guests booked on the next March 24 sailing should check with Holland America Line for confirmation and details about this. The new Holland America cruise ship is currently sailing a 7-night eastern Caribbean cruise which also included stops at Amber Cove, Dominican Republic; San Juan, Puerto Rico; St. Thomas, US Virgin Islands and finally Half Moon Cay which did not take place. The ship recently joined the fleet and was delivered from Italian shipbuilder Fincantieri on November 30, 2018. A recent christening ceremony was held on February 2 which featured godmother Oprah Winfrey. The 2,666 passenger vessel is the second Pinnacle-class and sister ship to ms Koningsdam. The ship is 99,500 gross tons and the most advanced in the fleet so far. We also posted about more breaking news today of the Viking Sky putting out an urgent mayday after losing power and drifting towards the coast, read more here. For Choose a Cruise month organized by the Cruise Lines International Association (CLIA) Holland America Line is offering up to a whopping $400 on ocean view staterooms and above.